"Build fun stores and have a blast with your characters"
Game Goal: An educational game that helps kids explore and expand their imagination, vocabulary and math. Game Goal: A collection of games set in a shopping center where you have to move freely to perform fun activities. 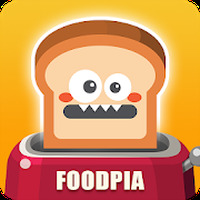 How to Play: Explore different shops, restaurants, supermarkets and shopping centers. Buy clothes, accesories, food and use your imagination to personalize over 30 characters. How to Play: Choose several characters to interact with in different scenarios like a music store where you can all jam together. 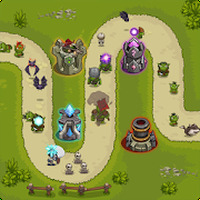 Graphics: The game has colorful 2D aesthetics and well made scenarios that bring together the characters. Graphics: Colorful minimalist aesthetic in which the original, fun and simple design of the characters are emphasized, as well as the fluidity of the animations. Game play: Up to 34 characters that you can customize with all kinds of fashion accesories. Play in a sports shop, pizzeria or hair salon! Controls: Tap any part of the screen to interact in addition to using the buttons. Installation requirements: A minimum of 50M of free memory space and Android 4.0.3 or higher. Controls are easy to use for players of all ages. Do you like Pepi Super Stores? 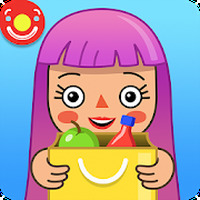 Android games Games For Kids Girl Games Educational Games Music Games Fun Games Dress Up Games The best games of April 2017!